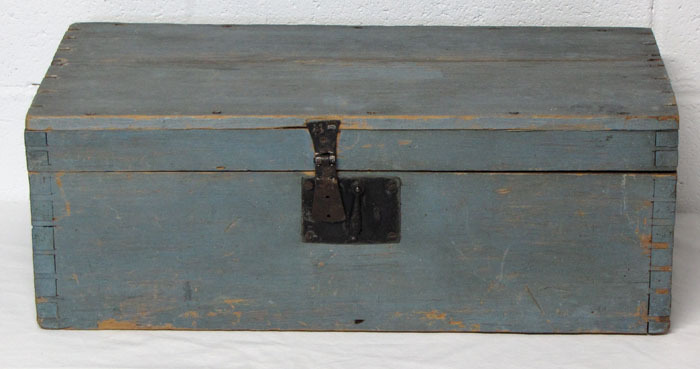 Dovetailed box in the best powder blue paint that is original and dry and has original hinges. 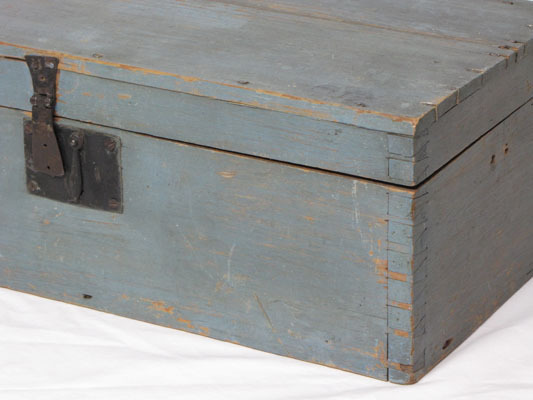 Most likely document or valuables box. Smaller size makes it perfect for top of stacked boxes. Measures 19 ¾" wide, 7" tall and 9.5". 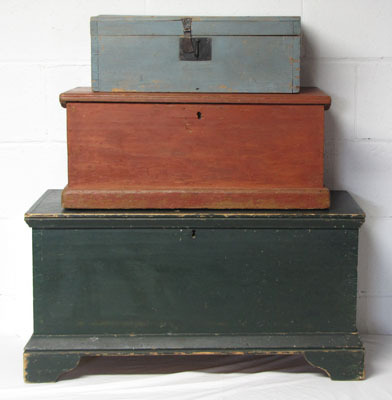 We love the color of this box, be sure to look at all the photos for stacked example.